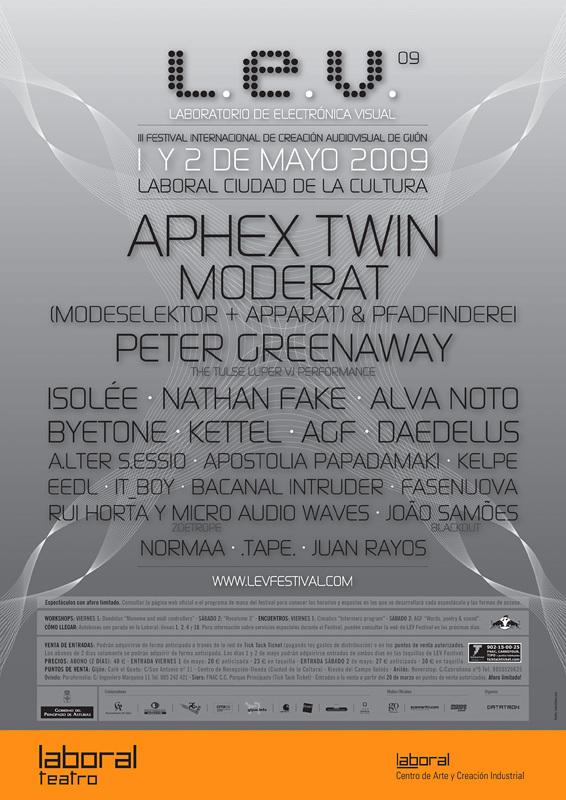 L.E.V. 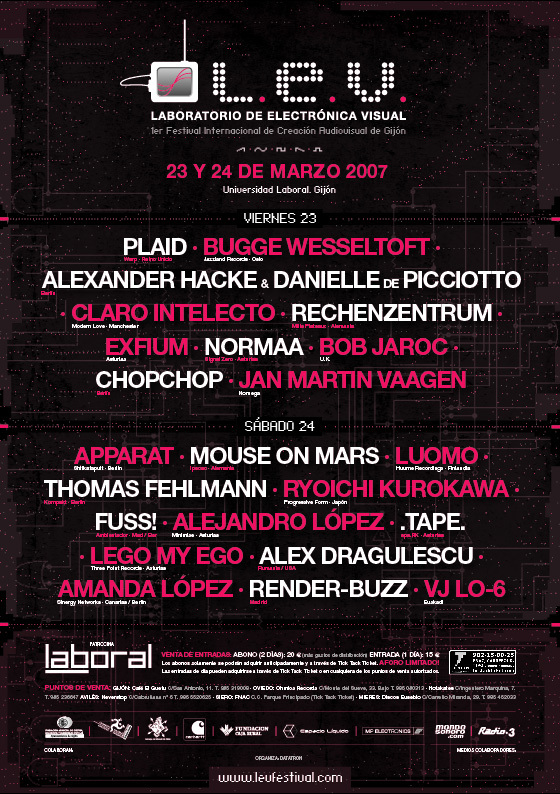 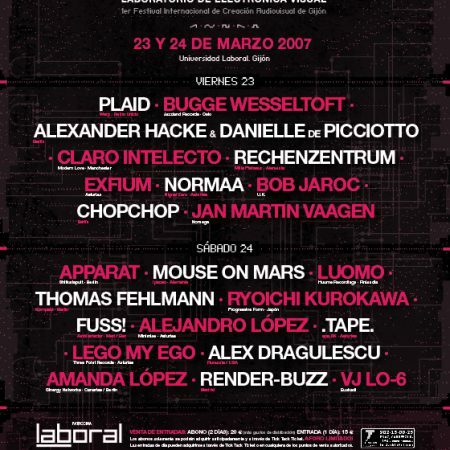 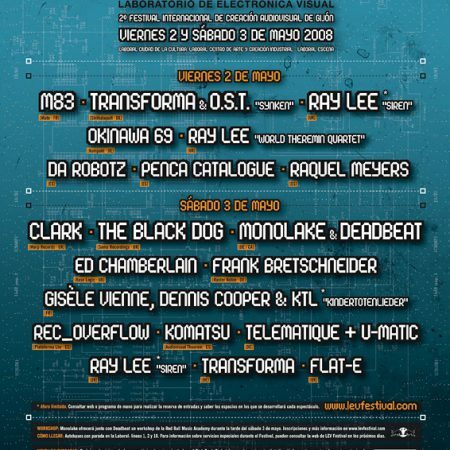 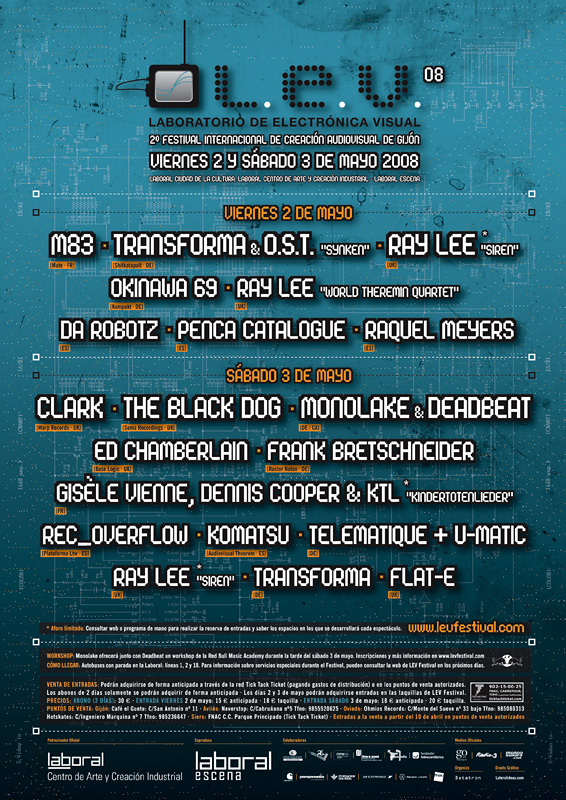 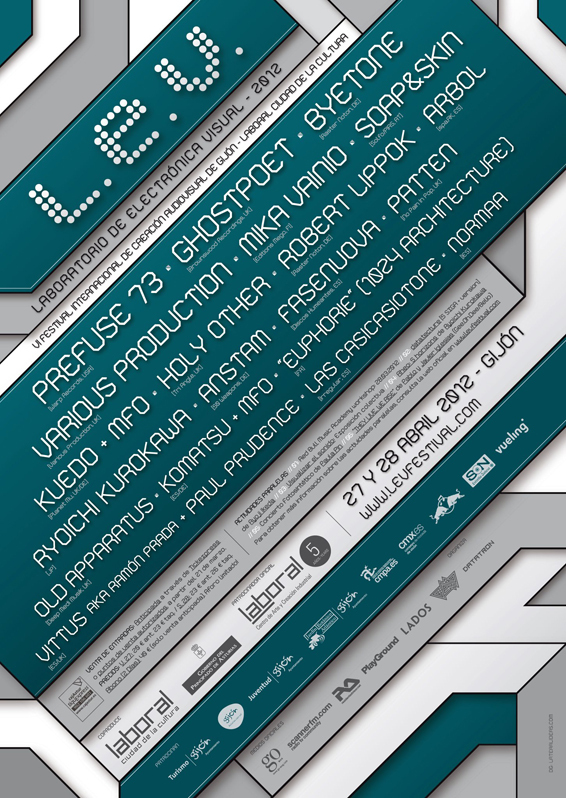 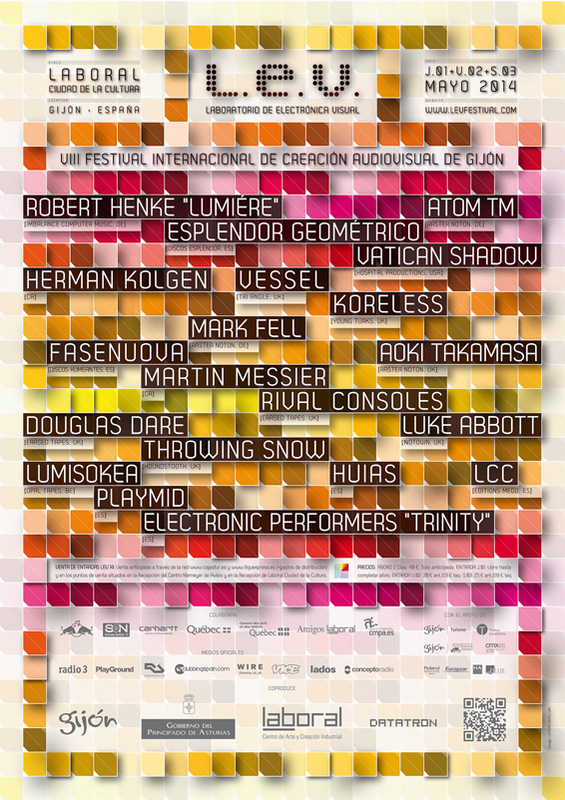 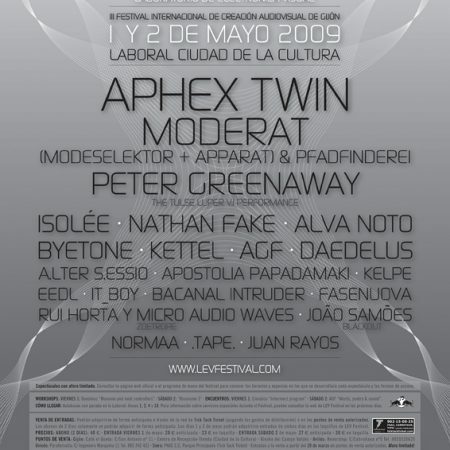 (Laboratory of Visual Electronics) is the International Festival of Audiovisual Creation of Gijón. 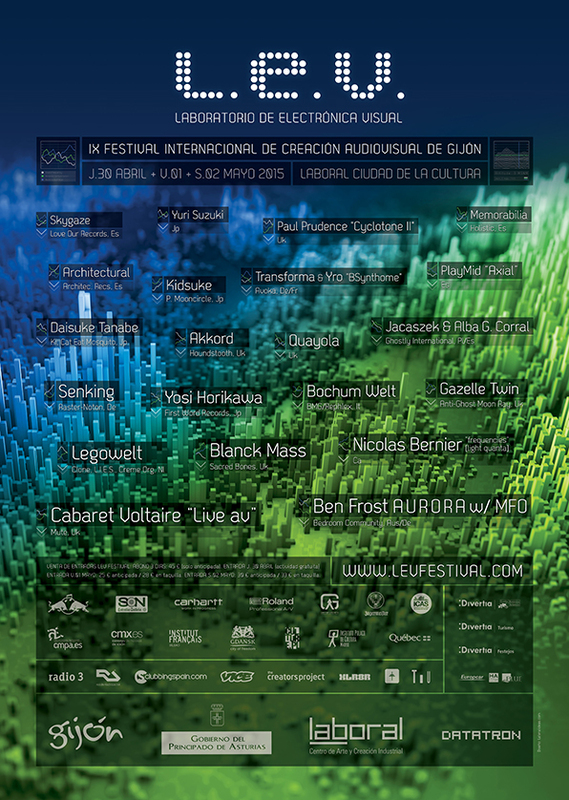 A project that, since 2007, tries to provide the broadest possible view of electronic sound creation and its connection with the Visual Arts. 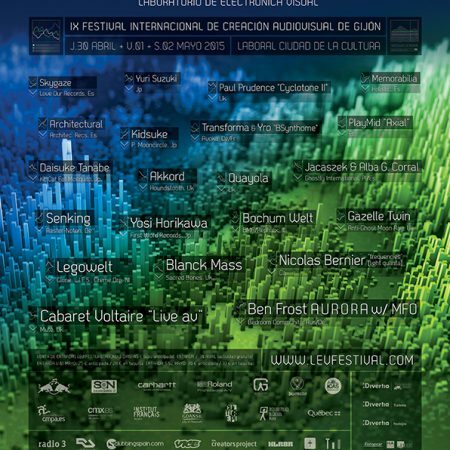 A project with over 10 years experience which, since its inception, aims to provide the broadest possible view of electronic sound creation and its connection with the Visual Arts. 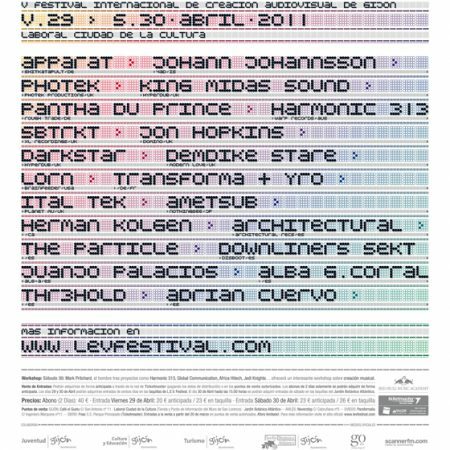 L.E.V. 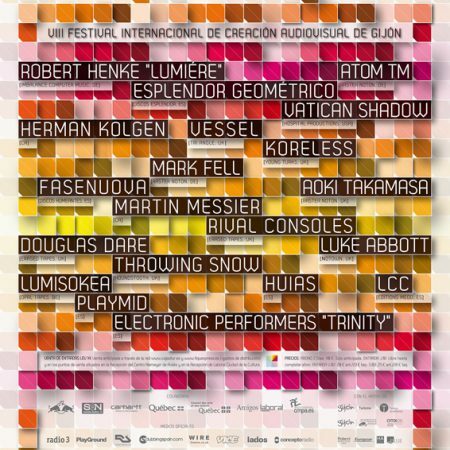 is a festival especially focused in the natural synergy between image and sound, the live presentation, and the relationship established among audience, public space and the new artistic trends that constantly emerge on a global level. 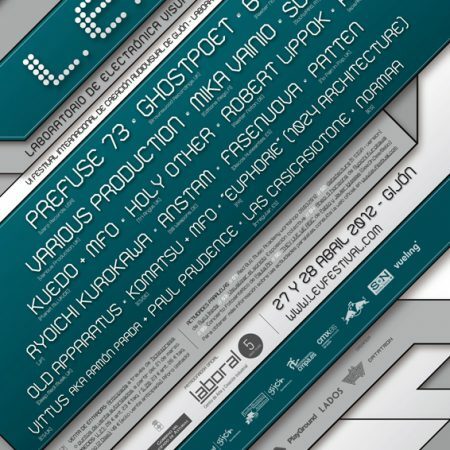 L.E.V. 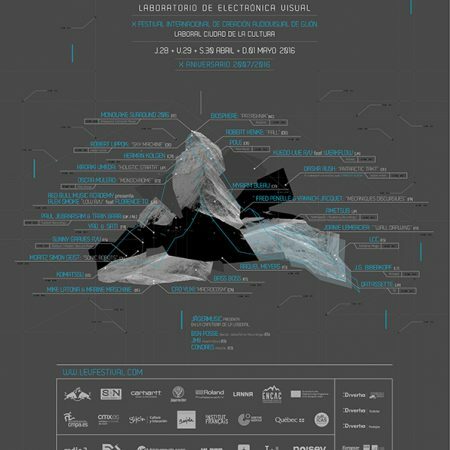 is a co-production between the Principado de Asturias Government, the Gijón City Council and LABoral Art and Industrial Creation Centre and it was designed and conceived by the Asturian collective Datatrón. 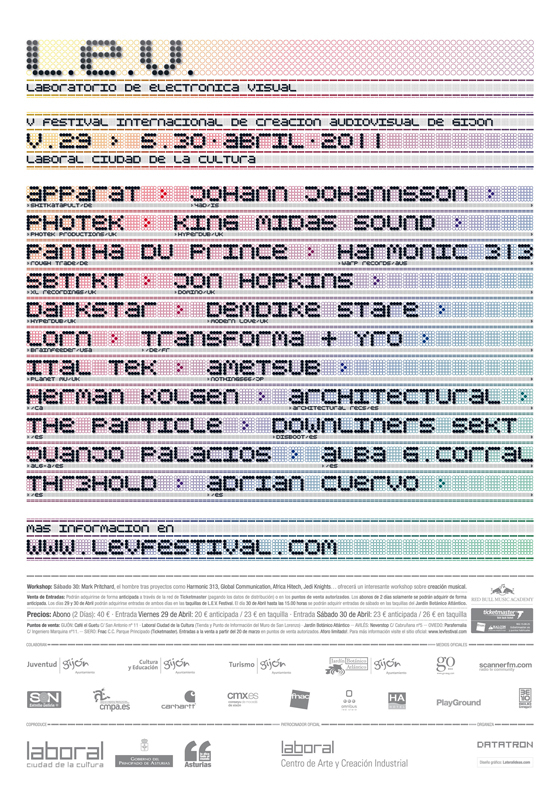 The festival honors by its acronym to Lev Thermen (Russian scientist father of the present-day synthesizers). 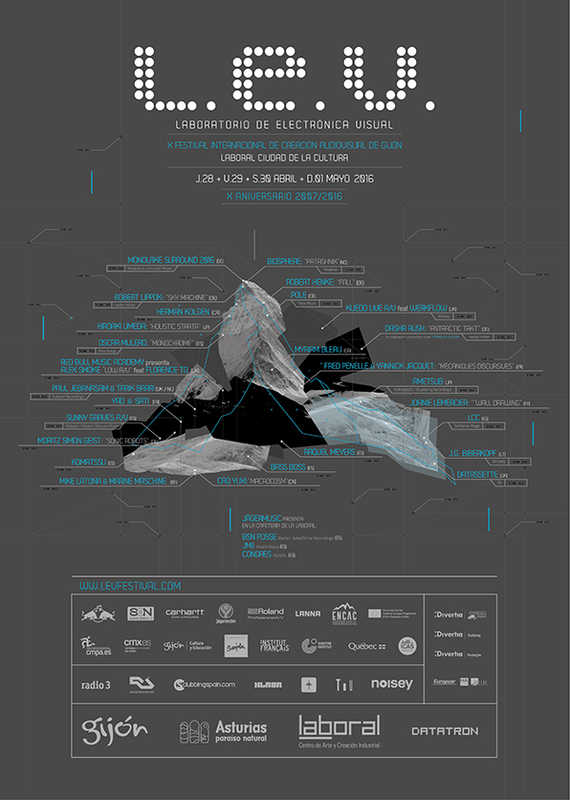 The eleventh edition of the Laboratory of Visual Electronics will be celebrated on April 27th, 28th, 29th and 30th in different venues such as Laboral City of Culture, the Theatre, LABoral Art and Industrial Creation Centre, Atlantic Botanical Garden of Gijón, as well as different museums in the city centre.